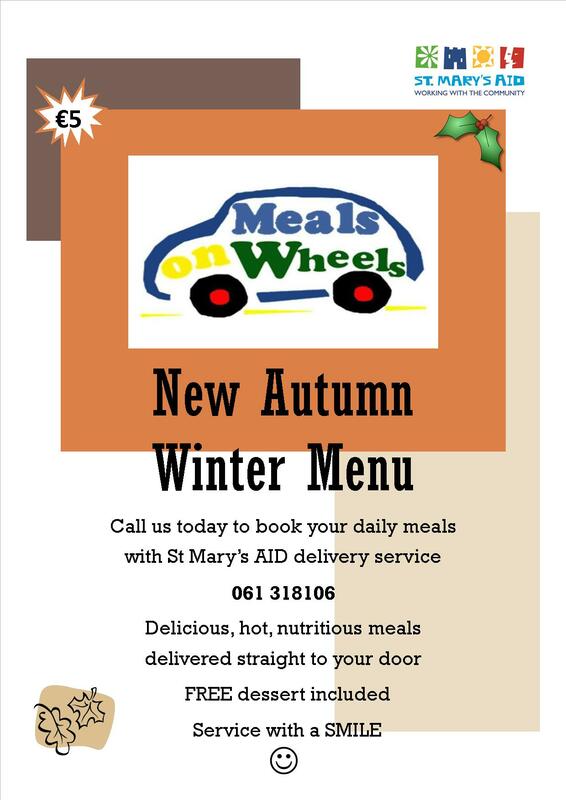 Meal Delivery Service – St Mary's A.I.D. We work constructively with local schools and residents to provide a daily meal delivery service. Hot, nutritious meals are delivered to your door for a very reasonable cost. The menu for this service is changed regularly. For details of menu’s and costs contact 061 318106.